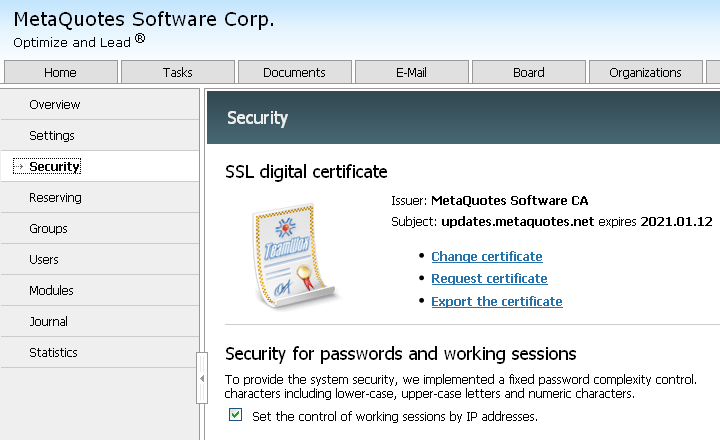 By default the TeamWox collaboration software's server uses the SSL certificate issued by the unauthorized certification center MetaQuotes Software CA. This certificate has a serious disadvantage - web-browsers do not trust it and generate warning messages. Legal Certificate by Thawte Inc.
Go to the Security tab of the Administration section. 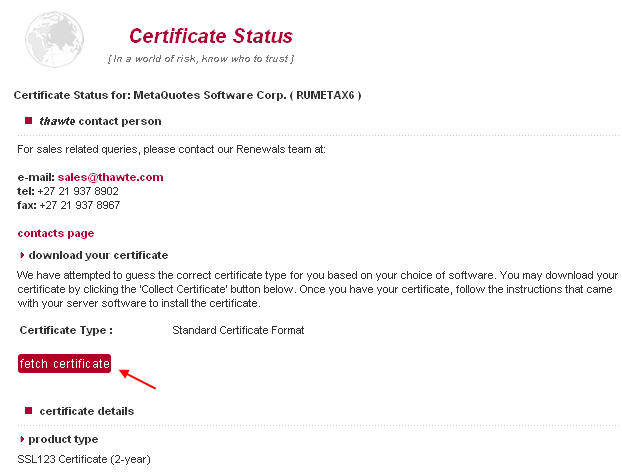 The tab contains data of the initial certificate issued by MetaQuotes Software Corp. 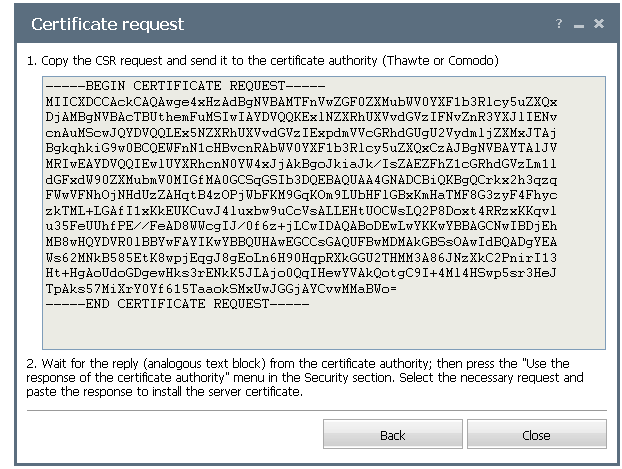 Select the "Request certificate" command. In the appeared form accurately fill out all fields and press the Continue button. For certificate issuing the text format of requests and responses CSR (Certificate Signing Request) is used - this is the means for contacting a certification authority. Exactly this kind of request is generated at this stage. Copy the whole text from the gray window into the clipboard and close the window by pressing the Close button. Besides, save the request in a separate text file - just in case. 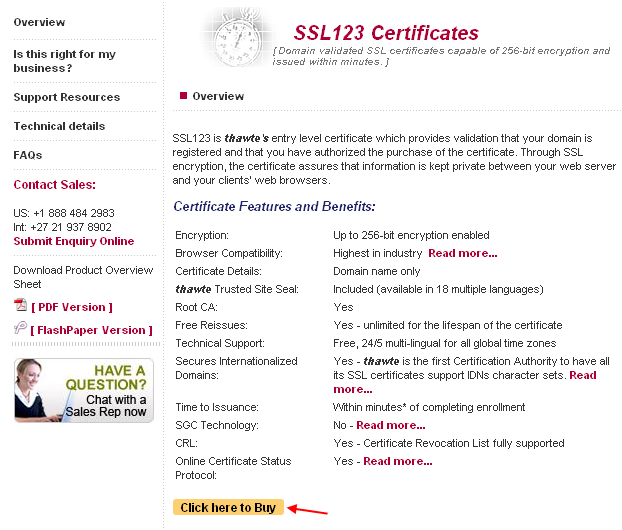 On the next page select SSL123 Certificates. SSL123 is a simple certificate of the initial level that certifies the domain registration and confirms your ownership rights (through the check of the e-mail address specified during domain registration). 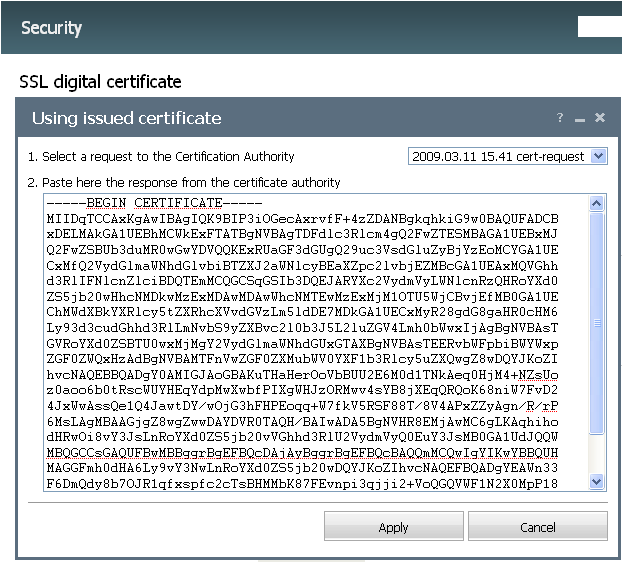 This full-function certificate perfectly suits the purpose of traffic encryption. Besides, it is accepted by all web-browsers. The process of certificate getting takes a few hours. Below is the most difficult part of the form - it must be filled out maximally accurately. The main difficulty that may occur is the indication of a person and e-mail authorized for the domain administration. indicate the password, check all the fields once again and press the Submit button. If any of the fields contain inaccuracies or errors, corresponding description will be shown in red in the upper part of the page. Correct the mistakes and try once again. Often problems can occur with the incorrect e-mail address - the address can be checked using the whois service. You should have access to the indicated mailbox, because the link with enrollment confirmation will be sent to the indicated address. A certificate cannot be received without the access to the e-mail. 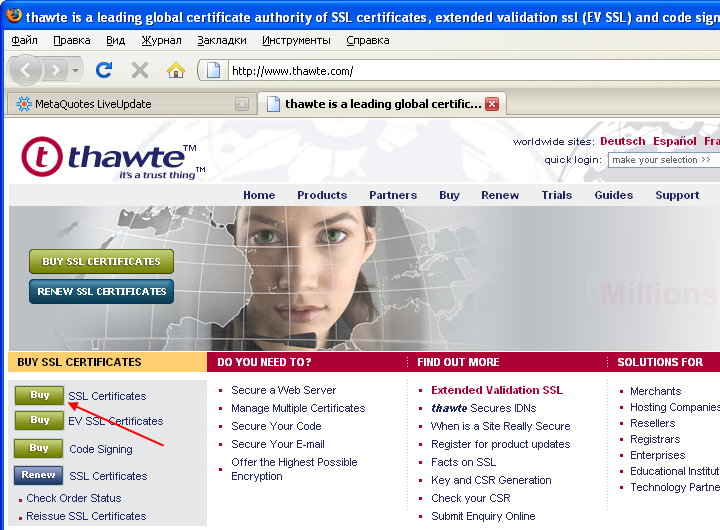 It is recommended to make sure that the domain @thawte.com is in the "white list" of your mail server. After the successful registration a special login and payment number will be issued. They should be memorized, because they will be used at further steps. Check your mailbox indicated at registration and click (or copy to your browser) the approval link. 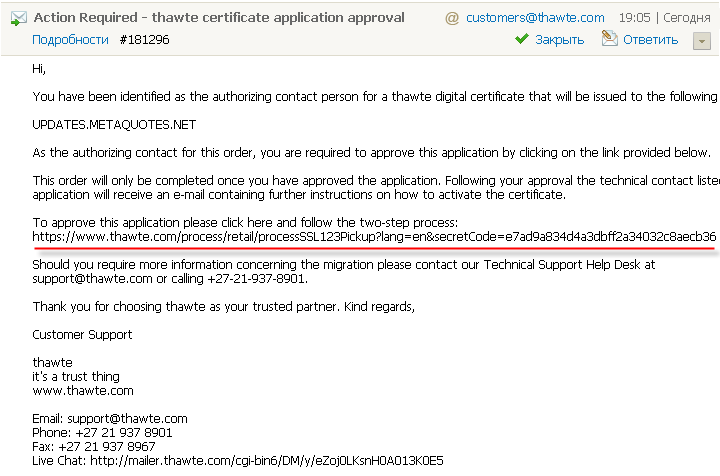 After that enter the Thawte website using the link https://www.thawte.com/cgi/server/status.exe (don't be afraid of the file extention .exe - this is not a trojan, there isn't any threat), specify the received Certificate Request Code and the password indicated earlier in the form. 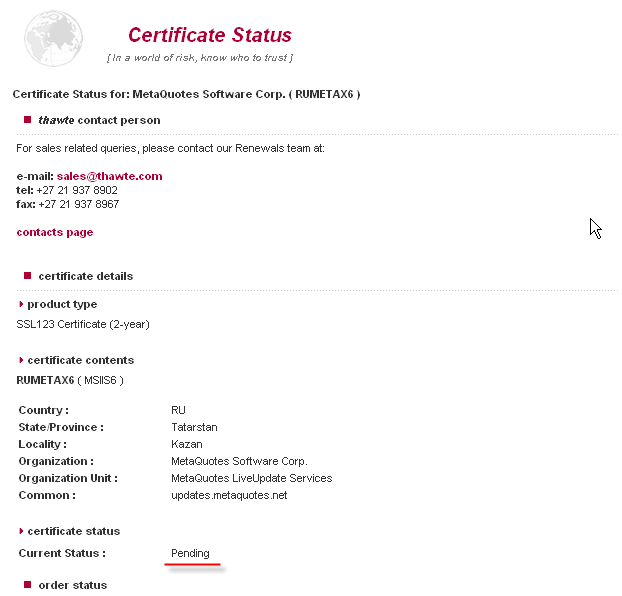 Check the certificate status - at first it will be pending. Wait a couple of hours. At one of the next status checking (or at the receipt of a corresponding e-mail), you will see the 'fetch certificate' command. That is all - your certificate is successfully installed. 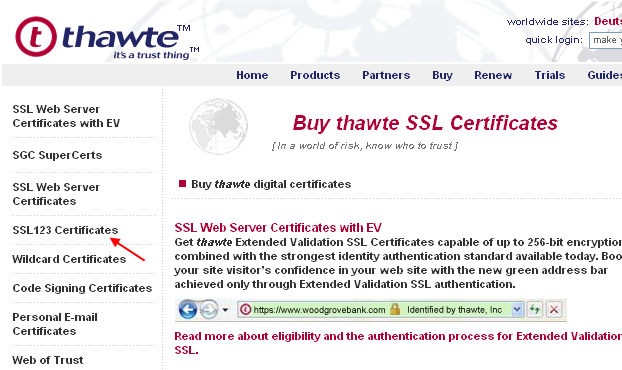 The certification authority is Thawte Inc. 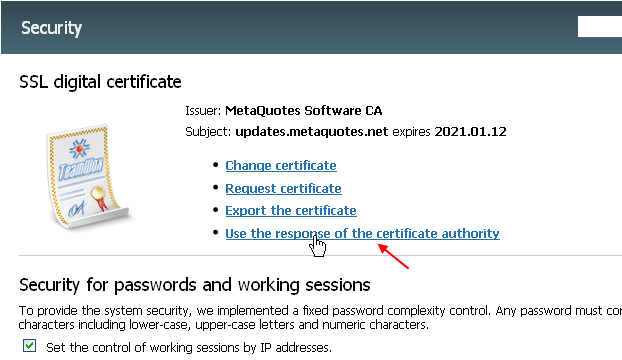 Export the certificate received in the *.pfx format using the Export the certificate command, indicating the password, by which your certificate will be protected. PFX certificate can be used in other programs (e.g. web-servers). Now Internet browsers will not generate any warning messages for your TeamWox! 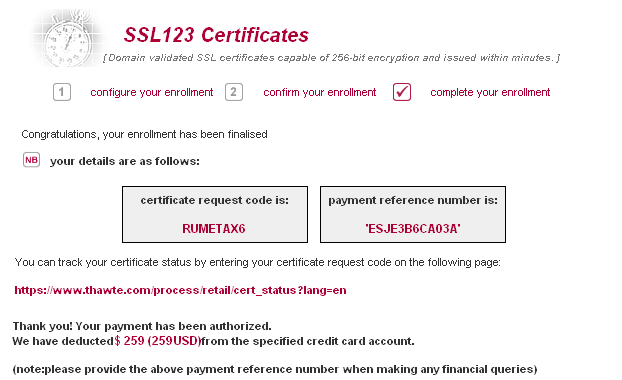 The company named Comodo offers analogous certificates Essential SSL for the price of about $140 for 2 years. The principle of certificate issuing is also via CSR requests. 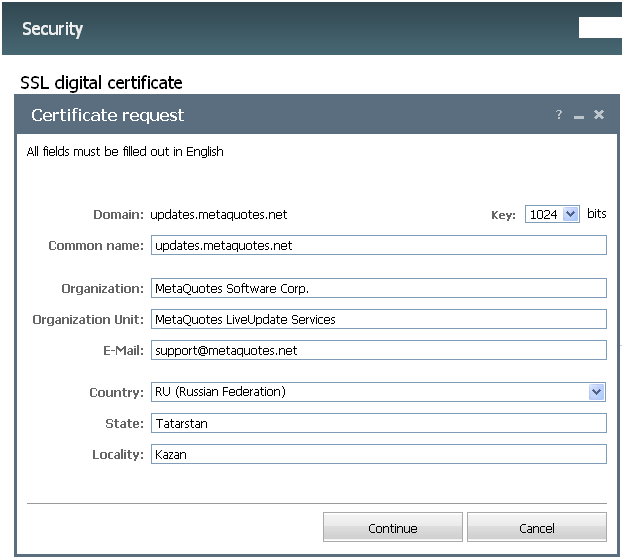 If you do not want to buy additional SSL certificates, you may work with the built-in certificate till the year 2020. 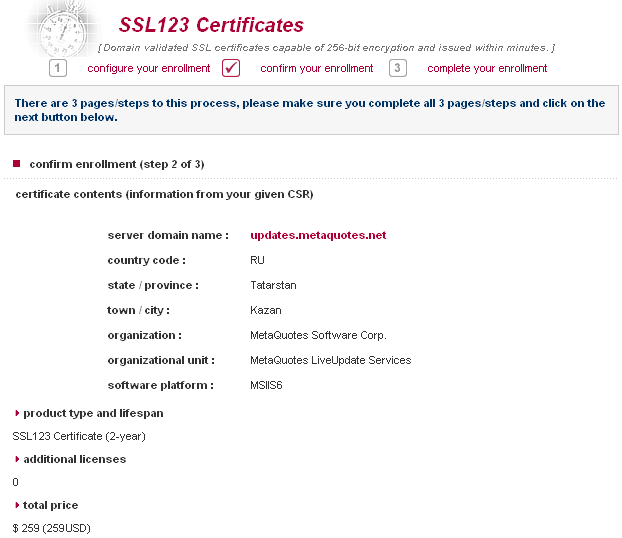 This certificate is sent to the TeamWox server together with the license. 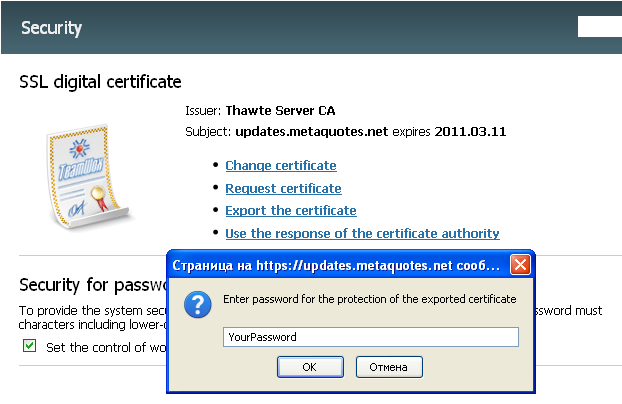 This is a qualitative and full-function certificate, issued though by the unauthorized center MetaQuotes Software CA. Simply accept it by your browser as an exception as the trusted center or install the special file metaquotesrootca.cer.